Palestinian scholar of the third century; junior of Joshua b. Levi and senior of Simon b. Pazzi (Cant. R. i. 1). 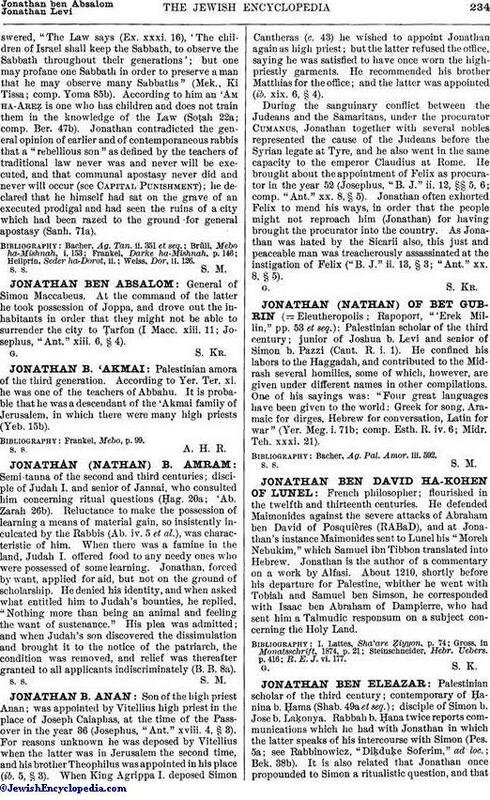 He confined his labors to the Haggadah, and contributed to the Midrash several homilies, some of which, however, are given under different names in other compilations. One of his sayings was: "Four great languages have been given to the world: Greek for song, Aramaic for dirges, Hebrew for conversation, Latin for war" (Yer. Meg. i. 71b; comp. Esth. R. iv. 6; Midr. Teh. xxxi. 21). Bacher, Ag. Pal. Amor. iii. 592.